If you knew me personally, you'd know that I am not the type of person to shy away from subjects that make others uncomfortable. I am usually the one that will find a way to bring such subjects to light. Right before the holidays, I decided that I wanted to find the right charity organization to which I could devote my time and talents. You might (or might not know) that I'm a pretty darn good seamstress, thanks to my grandmother and a lot of time in front of a sewing machine. I had read about sewing simple dresses for girls in poor countries. I also read about sewing blankets for the needy. I knew there was something I could sew that would make a true difference in the lives of others, but I didn't know what that could be. Then I read about Days for Girls International. Since this is my page, and I can be as direct and to the point as I wish, I will skip the comfy-cushy description and just tell you what we're doing. 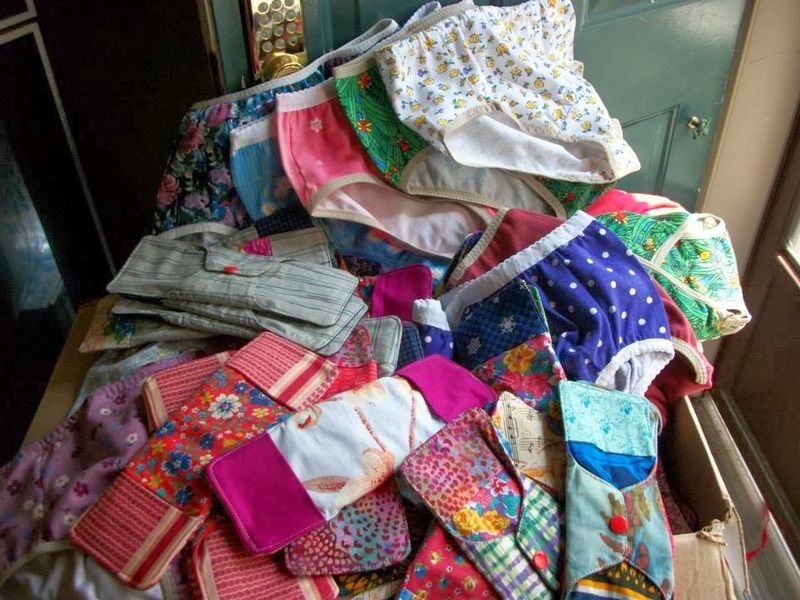 Days for Girls is an organization of volunteers who sew washable feminine hygiene kits for women in impoverished communities. Have you ever thought of what it would be like if women and girls had no access to feminine protection? Imagine what this is like for a school-aged girl. Imagine how much school she misses, and how (inevitably) her education will be limited. Imagine what this does to her future. To her family. To her hope for an end to the cycle of poverty. Imagine how this limits her life as a grown woman. How it confines her and stops her from work. Imagine what these limits do to her dignity. Then, imagine what this one sewn kit can change for her. You might be wondering why we don't just fund raise like mad and send over a bunch of good 'ol disposables? Well, many of the women we serve live in areas where there is no trash system. Just think about through for a second... Now given that scenario, don't you think washable is better? I'm honored that in my efforts to "be the change I wish to see" I get to spend time in front of my sewing machine. I get to teach others how to sew the items in these kits. Our virtual race will support all the efforts of Days for Girls International. 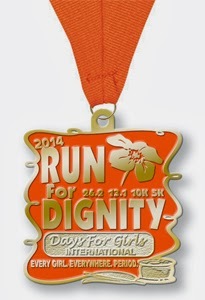 Join us and Run For Dignity. 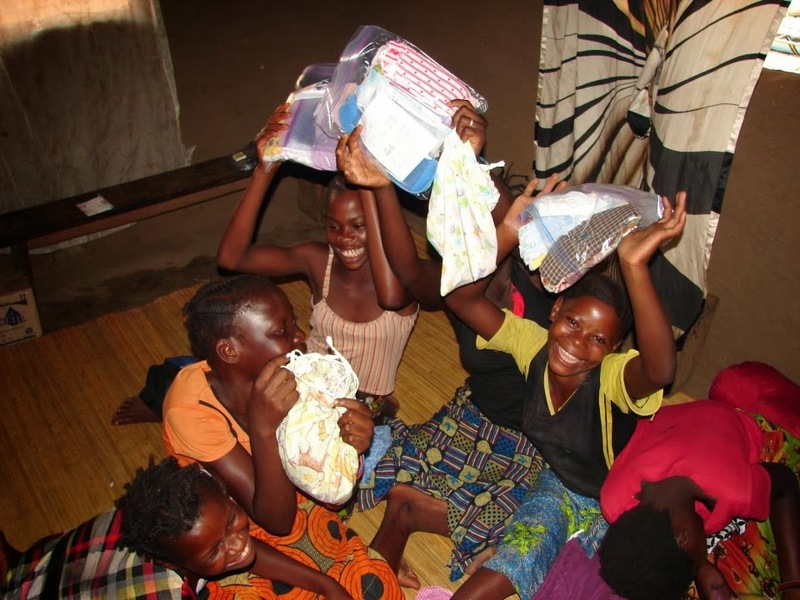 Supplies for making kits, funds for shipping kits, funds for trips abroad to deliver kits and teach girls and women to make kits for their communities, will help Days for Girls reach every girl, everywhere by 2022. Why don't you join us? Register here. Sponsors will be announced soon. And wait 'til you see what we're doing to advocate dignity for every girl, everywhere!